Feel Healthy from the Inside Out! of pure essential oils. Your whole self will love it! Balance is a grounding blend of pure essential oils that harmonizes and enhances your mood, energy and body systems. Especially beneficial when feeling anxious or disconnected, dōTERRA®'s Balance creates a sense of calmness and well-being. Its warm, woody aroma is comprised of Spruce, Ho Wood, Blue Tansy, Blue Chamomile, Frankincense and fractionated coconut oil for aromatic or topical use. Manage Hunger, Calm Your Stomach and Lift Your Mood. dōTERRA®'s Slim & Sassy® Metabolic Blend is a proprietary formula of 100% Certified Pure Therapeutic Grade® essential oils. It contains NO diuretics or stimulants, and has ZERO CALORIES. Designed to help manage your appetite between meals, Slim & Sassy includes grapefruit, lemon, peppermint, ginger and cinnamon essential oils. Just add 8 drops to a regular size bottle of water and drink between your healthy meals throughout the day to help control hunger, soothe your digestion, enhance your energy and and improve your emotional well-being. Easy! Connect with your Slim & Sassy self today! Click this button to get 20% off as a preferred member! 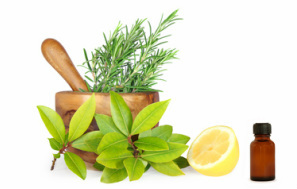 Interested in hearing about essential oils and how they can be used to optimize health? Click here for purchase details on "Introduction to Essential Oils" CDs for only $5.00!